Melanie Nash planned to dig up her father's grave for years in search of an alternate will. Even in passing to the other side, a New Hampshire man could not get free from his family's financial squabbling. 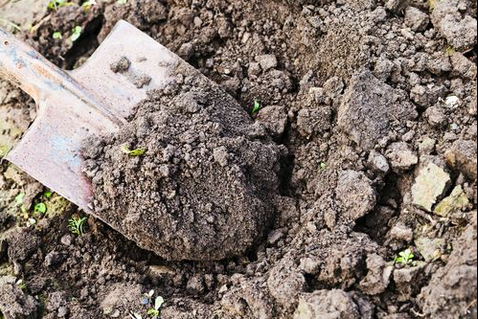 Yahoo News reports that Melanie Nash, 53, admitted to police that she and three others dug up her father's grave in to find a copy of what she believed was his "real will". Eddie Nash died in 2004 without leaving any money to Melanie, who suspected her sister Susie of hiding the actual document. Facing trial in March, Nash approached police with a confession, pleading guilty to charges of criminal mischief, interfering with a cemetery, conspiracy, and abuse of a corpse. Two others pleaded and a third person was acquitted. Nash prepared a written statement to police last June suggesting that her father would have been alright with the plan and that digging up his coffin in Colebrook was done with respect. Did she find the long lost will with proof of her mislaid inheritance? Nope, just cigarettes and vodka.